Can you believe that networks used to air new episodes on Christmas night? This one isn’t even holiday-themed, although it does score high on the heart-warming scale. Coming home from school, Buffy and Jody realize they have a stalker. This little guy has followed them home. The twins want to take him inside, of course, but the building has a no-dogs rule. Jody comes up with a quick solution to that problem–the rule won’t apply if no one sees him going in. 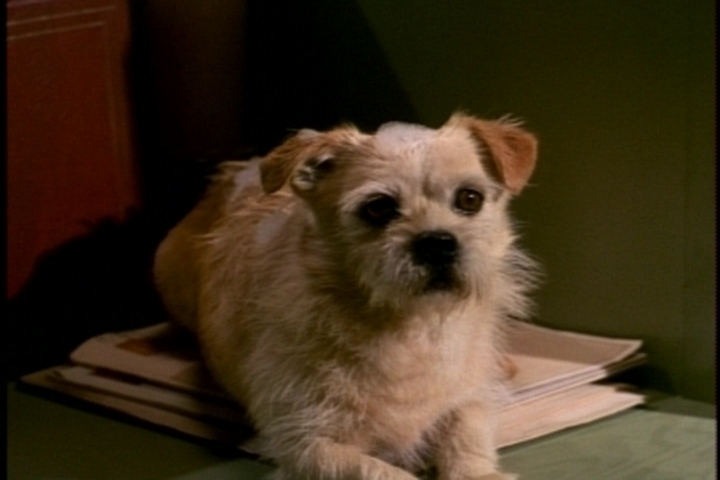 Buffy knows that even if they make it their apartment with the dog, they’ll still face a formidable obstacle–Mr. French. The dog is dirty, and Mr. French doesn’t like dirt. Undeterred, Jody wraps the dog in his jacket. 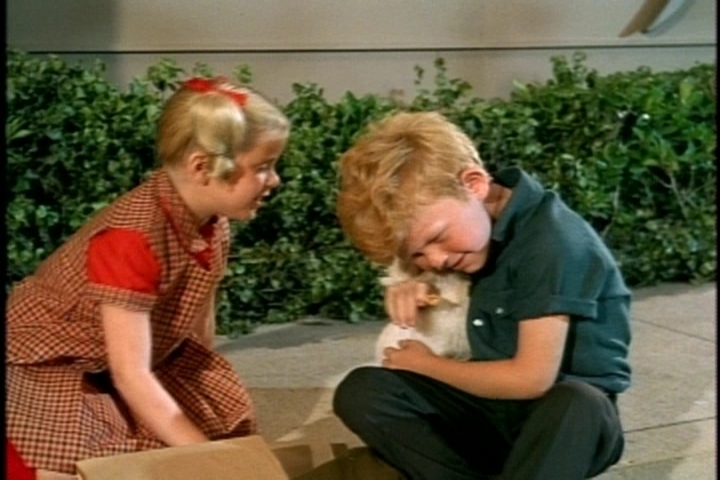 Scotty’s distracted, so the kids manage to get their bundle past him. Upstairs, they sneak past French and head straight for the luxurious Davis bathtub. After the dog’s bath, Buffy observes, he will smell good and everyone will like him better. Unfortunately, the dog escapes from tub before his bath is over. He heads straight for the living room and a close encounter of the French kind. French accepts the dog’s presence with the equanimity we’ve come to expect from him. “You will capture it and evict it post-haste,” he orders. Meanwhile the dog–which the kids have given the very creative name “Puppy”–is holed up in a cupboard. Aww. I’m more of a cat person, but he is a cute little guy. 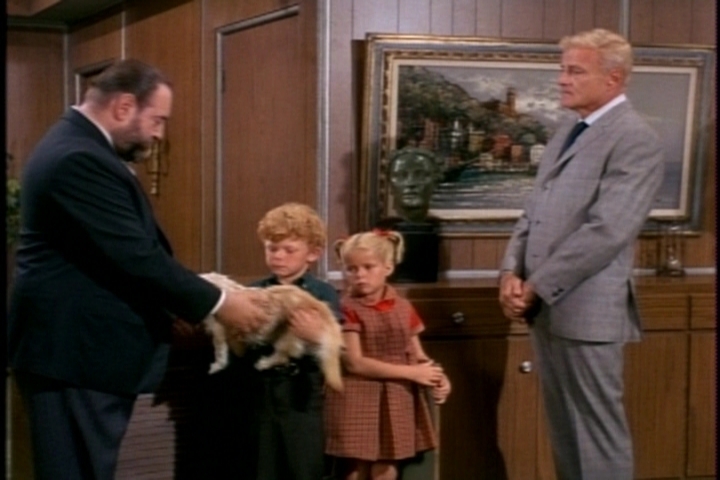 Uncle Bill arrives on the scene, and the twins lobby to keep the dog. Bill says his lease forbids dogs, so Puppy has to go. 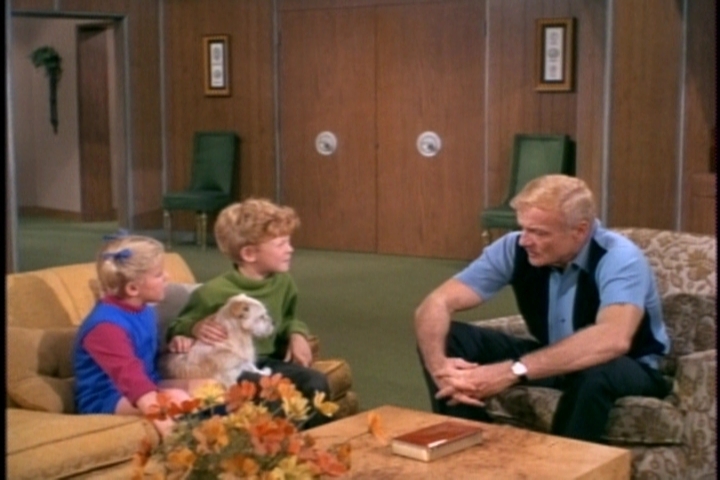 When the kids point out that an upstairs neighbor has a French poodle, Mr. French explains that dog is a champion with an impeccable pedigree. As a good, red-blooded American, Bill objects to dog snobbery, but he doesn’t feel he can challenge apartment policy. 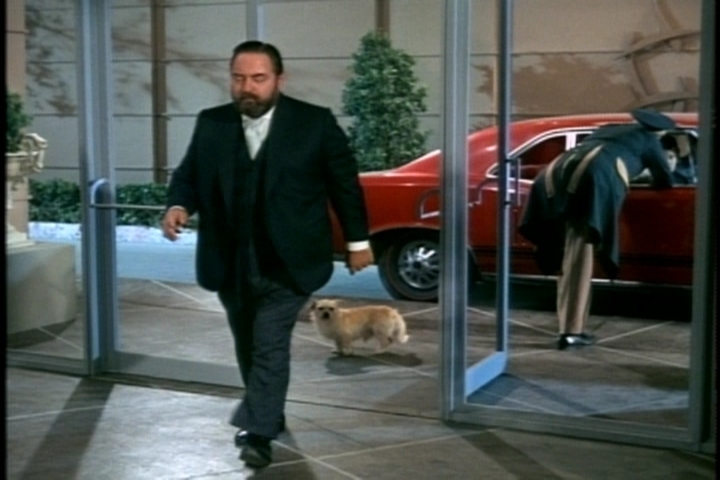 French is tasked with removing the dog, and his body language in this scene is an episode highlight. Puppy gets the last laugh, though. 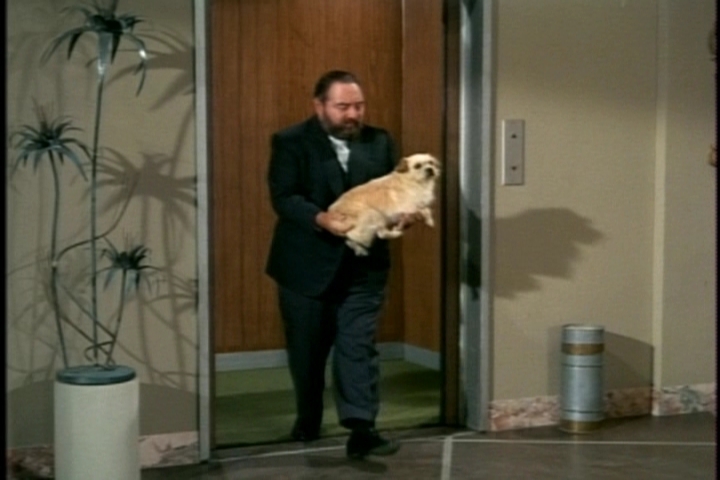 He sneaks back into the building, the elevator, and apartment under the nose of an implausibly oblivious French. 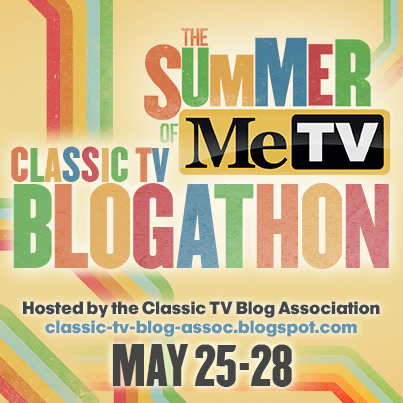 Meanwhile, in a threadbare subplot, Cissy is dealing with snobbery, too. A high school social club, the Marvels, has selected her for membership. They won’t accept her underprivileged friend Ingrid, though. 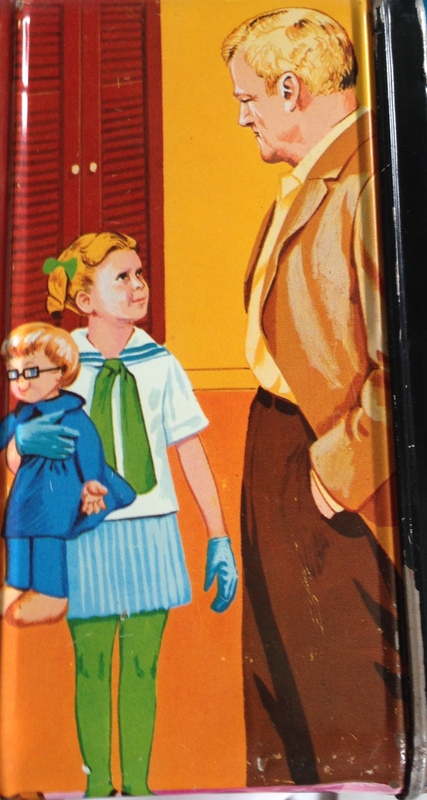 Cissy complains to Uncle Bill about the Marvels. As a social club, he says, they have a right to accept or reject people as they please. He admires Cissy’s conviction, however. Perhaps that’s why his attitude toward Puppy softens when he realizes the dog has returned. He agrees to approach the apartment manager about keeping the dog and to let the kids entertain Puppy in the meantime. 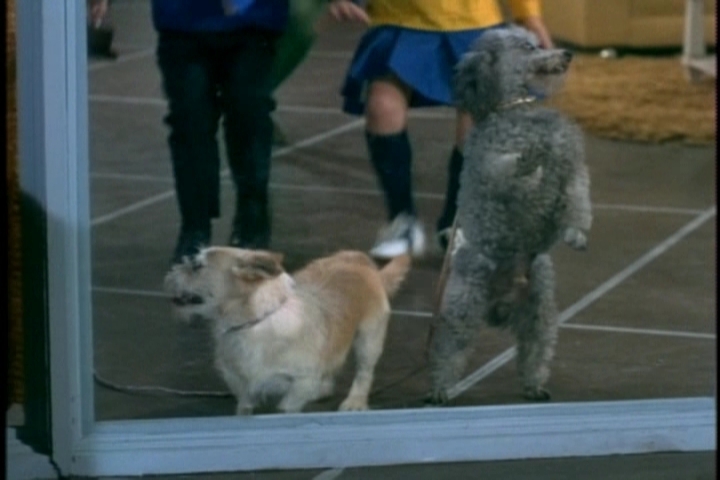 Taking their friend for a walk, the kids meet up with the building’s French poodle. 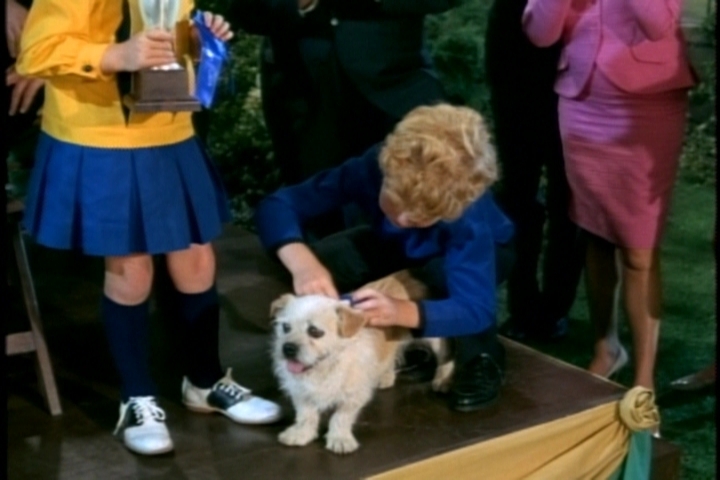 The snooty kid walking the poodle says his name is Monsieur Cherbourg and he has earned 12 blue ribbons. He also responds to French commands. The kids still don’t understand why Monsieur Cherbourg has a higher status than Puppy. French decides that taking them to a dog show will enlighten them on the importance of good breeding. 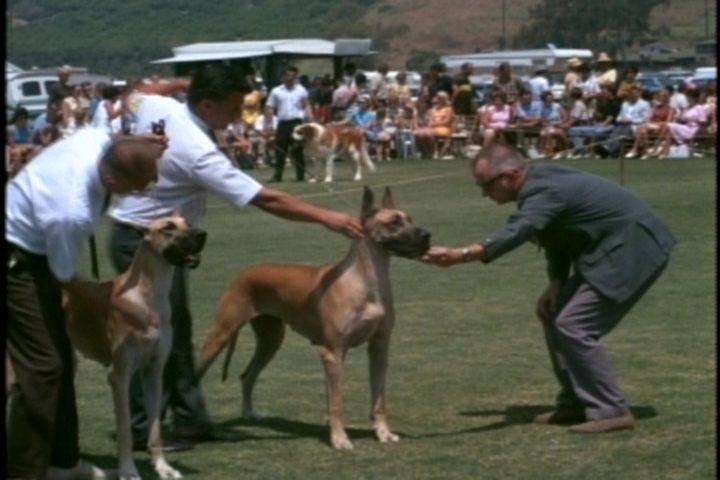 What follows is a tedious montage of dog show stock footage. The kids aren’t impressed, but the experience does inspire them to teach Puppy a few tricks. Their approach is to demonstrate sitting and lying down for Puppy. They have limited success, but it doesn’t really matter. They return home only to learn from Uncle Bill that the apartment manager has vetoed Puppy as a tenant. Bill promises to find a good home for Puppy. Once again, though, Cissy’s example gives him a change of heart. She has invited several friends home–all Marvels rejects. They’ve decided to start their own club. Bill gets his secretary on the phone and tells her to make arrangements for him to host a dog show in the park. (I’ll bet that assignment made her day.) This dog show will welcome non-pedigreed pups, and real kennel club judges will preside. 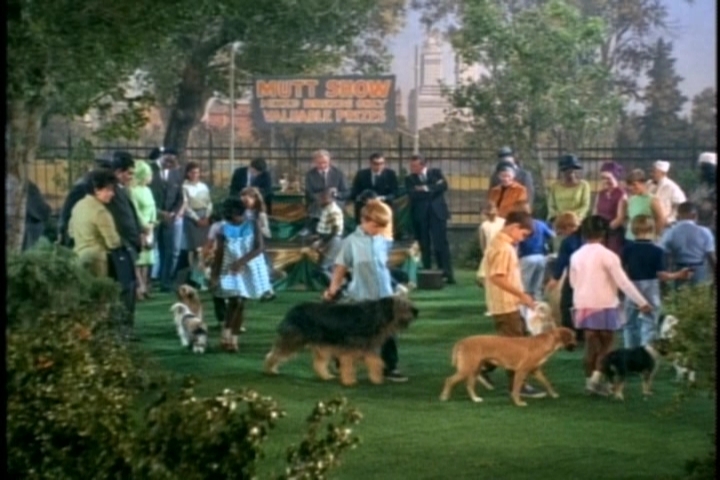 Director Charles Barton must have loved dealing with all these dogs and kids on the set. At the show, Bill tells French that he’s hoping Puppy will win a prize, which will give Bill more leverage with the apartment manager. French is surprised that Bill didn’t fix the contest outright. Puppy succeeds on his own merits, though, winning Best of Breed in the Schnauzer/Poodle/Pekinese/Chihuahua categories and the overall championship. 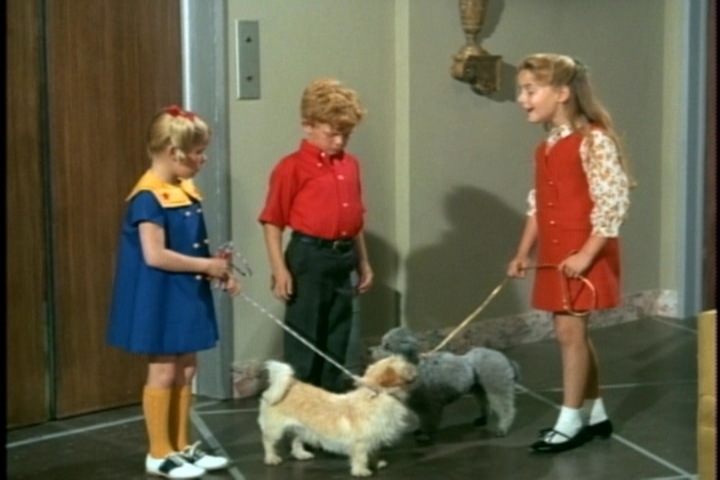 Returning to the apartment building, the kids inform Snooty Poodle Girl that Puppy is a champion. Her mind is completely blown. 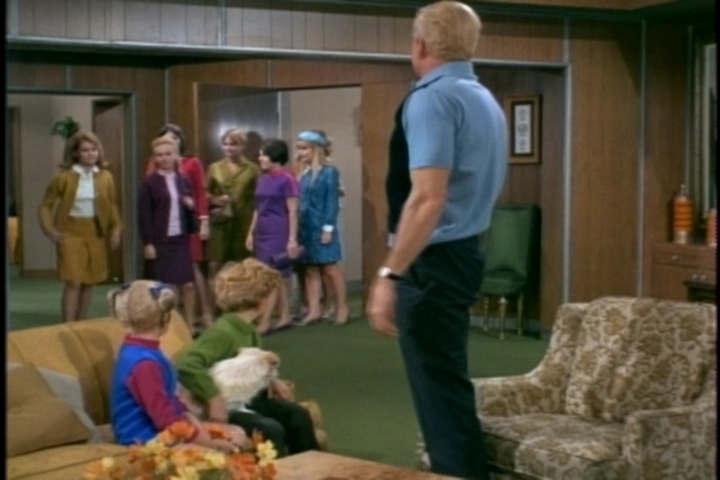 Next, the family confronts the apartment manager. When he tries to differentiate between Puppy’s champion status and the poodle’s, Bill dares him to explain the difference to the kids. Showing the weak will that plague his marriage to Harriet Oleson, the apartment manager caves. Buffy and Jody are thrilled that they get to keep Puppy. 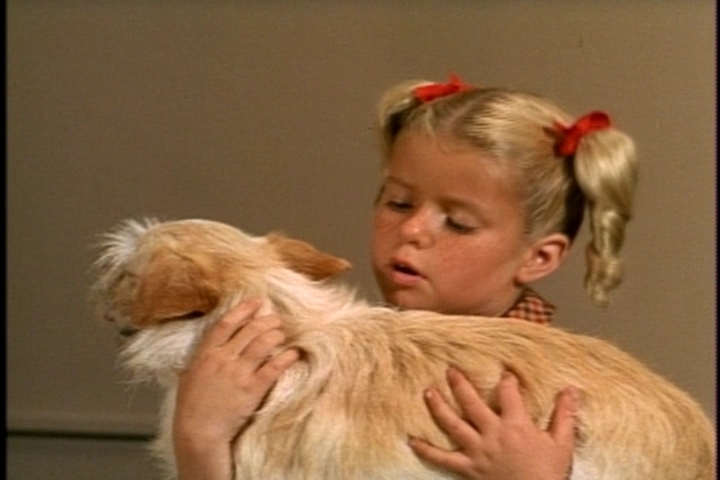 The episode ends by driving home the point that all dogs are the same under the fur. Together, Puppy and Monsieur Cherbourd bark at a cat they spy through the lobby windows. This episode isn’t deep, but it has plenty of cuteness going on. The disturbing thing is that we will never see Puppy again. Best case scenario: He went to live in Connecticut with Rosie the horse. Worse case scenario: He took a Mrs.-Beasley-style swan dive off the terrace. We get a Scotty sighting and a Miss Lee mention. Lewis: Richard Bull. Girl: Kym Karath. Mrs. Hobson: Gerry Lock. 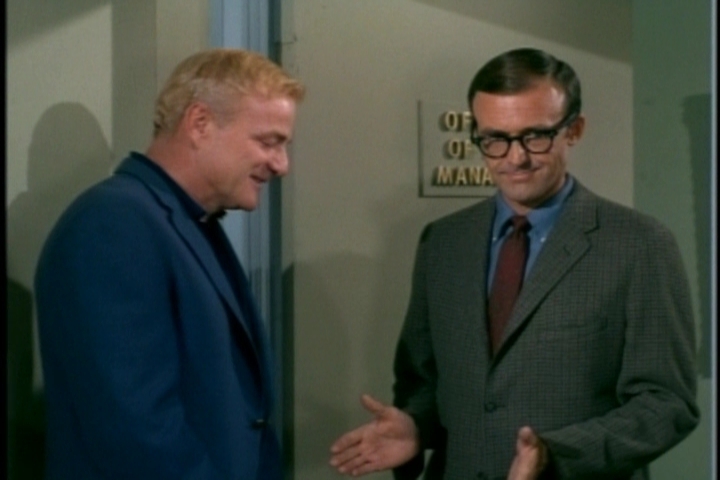 Scotty: Karl Lukas. Judge: Larry Thor. Ingrid: Terry Burnham. Bull is best known for playing the beleaguered Nels Oleson on Little House on the Prairie. 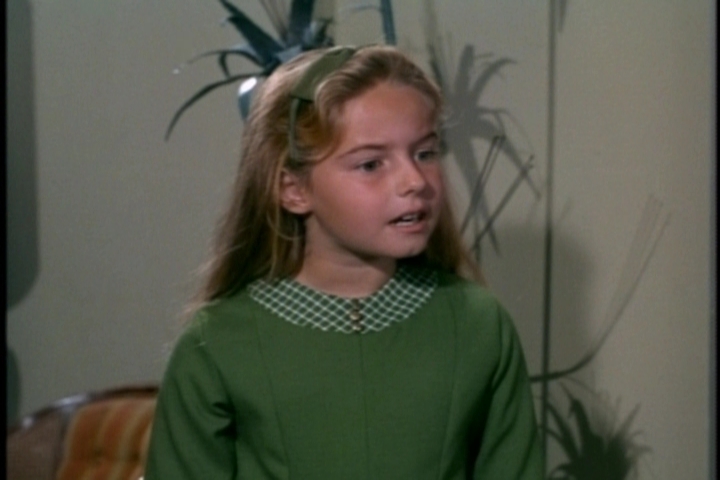 Karath makes her second of three Family Affair appearances. This week, I’m presenting another Family Affair collectible–a lunchbox from 1969, manufactured by King Seeley Thermos. The front of the lunchbox features a birthday party scene. 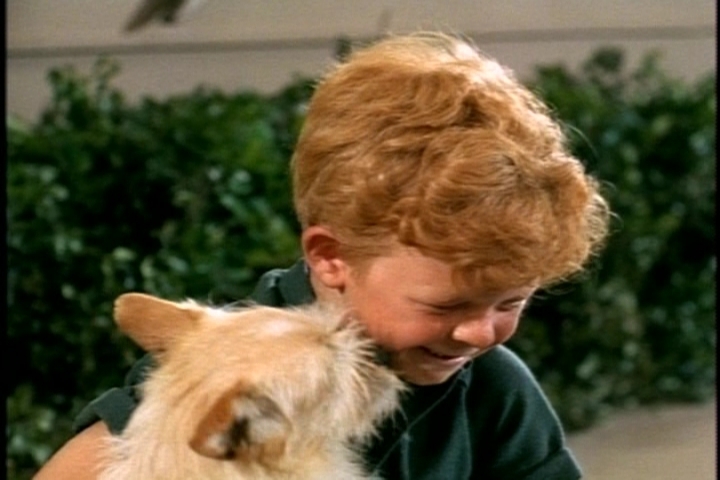 The party–with balloons, cake, and presents–is for Mrs. Beasley. That’s not weird at all. The thermos displays the same scene. 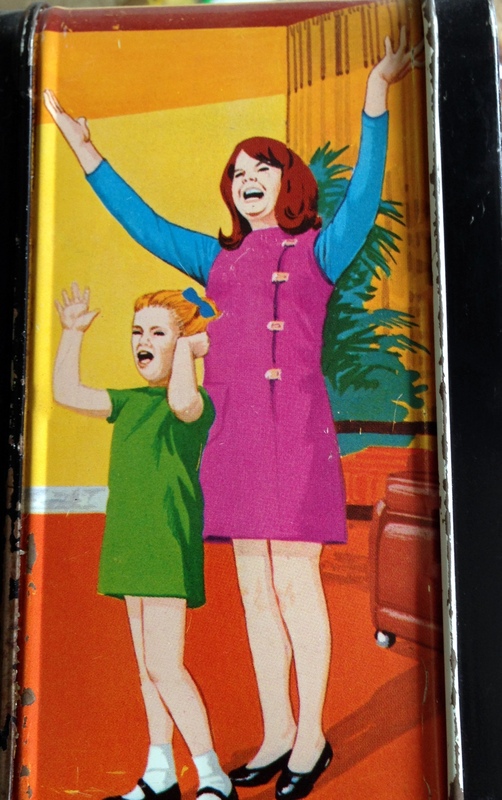 The reverse side of the lunchbox shows Buffy and Jody playing in the park. 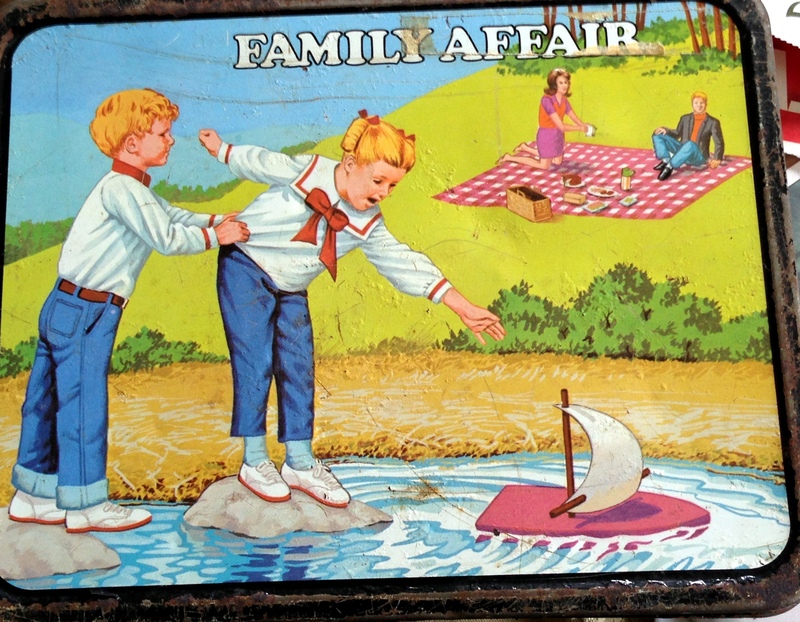 The picnickers in the background are probably Cissy and Uncle Bill, although the male figure isn’t remotely recognizable. 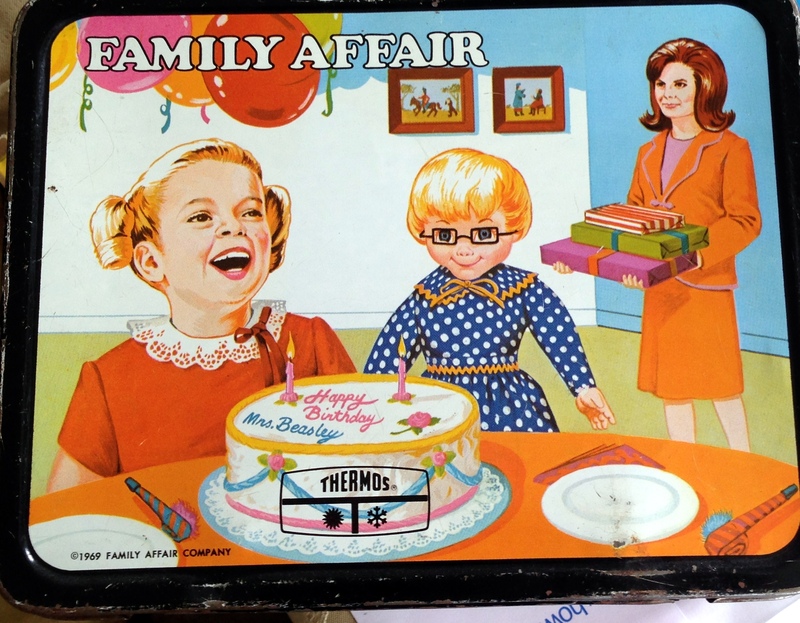 One side of the box shows Buffy, Mrs. Beasley, and Uncle Bill. The bottom shows Buffy and Jody–hanging out under a bed? This side is the worst. Buffy looks like a transvestite midget, and Cissy looks crazed. Worst of all, it reminds me of their musical number from two weeks ago. This entry was posted in Family Affair, Television and tagged 1960s, Anissa Jones, Brian Keith, Classic Television, Collectibles, Family Affair, Johnnie Whitaker, Johnny Whitaker, Kathy Garver, Lunch Boxes, Nostalgia, Sebastian Cabot, Television, vintage lunch boxes. That lil’ puppy is sooo cute! I’m glad Uncle Bill went to bat for him.